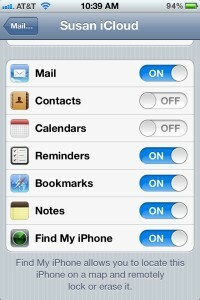 Lost in the iCloud writes: My wife just got her own iPhone 4S (I already have one), and she wants to share some of the things I have in my iCloud account—contacts, calendars, Photo Stream—but she also wants her own bookmarks, notes, reminders, and email. What’s the best way to do this? Greetings, Lost! Yep, you can indeed pick and choose the contacts, calendars, email, and photos you want to share with your better half in iCloud, but the setup can be a bit tricky. For starters, there’s no such thing as, say, a family or group account in iCloud—that is, you can’t add your wife as a user under your own iCloud ID. 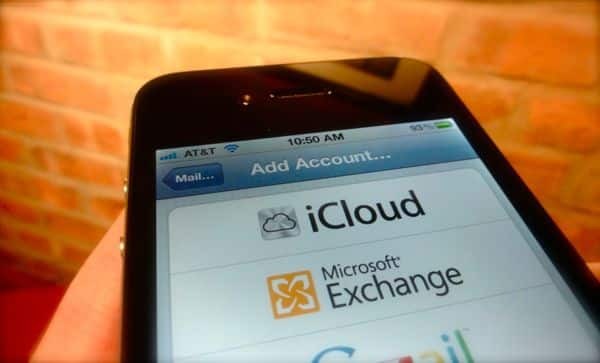 Everyone who wants to use iCloud needs their own, individual iCloud account, with their own separate buckets of calendars, contacts, photos, and so on. And since you mentioned that both you and your wife want to share photos with iCloud’s Photo Stream feature, here’s another thing to consider: you can’t share your Photo Stream with another iCloud user—or at least, not unless you’re both signed in to the same iCloud account. But while you and your wife can’t share the same Photo Stream between your separate iCloud accounts, you can sign in to two (or more, actually) iCloud accounts at once on your iPhones. You can sign in two or more iCloud accounts at once on an iPhone, with one acting as the “main” account and the others as sub-accounts. Confusing, I know, but hang tight. Here we go! First, let your wife sign in to your iCloud account on her iPhone; tap Settings, iCloud, Account, and then enter your iCloud ID and password. Now, I’m assuming you and your wife want to share apps, music, and videos from the iTunes store—and if that’s the case, you should both sign in to the same iTunes store account. On your wife’s iPhone, tap Settings, Store, then make sure that the Apple ID listed at the bottom of the page matches the one listed on your iPhone. That’s it! 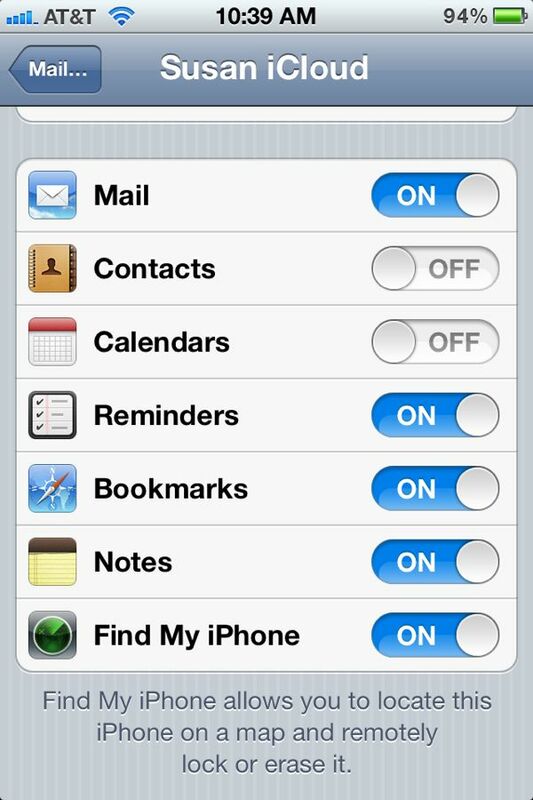 You and your wife should now be sharing calendars, contacts and photos in iCloud, while keeping separate bookmarks, reminders and notes—and remember, you can always go back to mix and match what you’re sharing in the settings menus for iCloud (for your “main” iCloud account) and Mail, Contacts, and Calendars (for your wife’s sub-account). Still have more questions? Let me know!